Released on Sanctuary Records on August 20th 2002. The album was originally known as "Live at Last" when released in 1980, and included only Disc 1 of "Past Lives". While I discover PA some three years and a half ago, I thought that my first prog concert took place in May '74 during the "Welcome Back My Friends" tour (ELP of course). But PA explained to me that my first prog concert was a little earlier : it was my first "Deep Purple" live experience. March 20, 1973 (at forest National). This only to tell you that I have a special feeling with the first part of this CD since it was recorded in March 1973 (in the UK) and reflects what I had seen at the time in Brussels. My souvenirs of the concert are very vague (Alzeimher you know...) but I remember the comments of one of the most respected Belgian rock critics Piero (who organized the first "Genesis" concert away from England BTW) : "It would be the same to sit outisde and listening for an hour and a half to B-52's taking off". He was right. The Brussels concert was not good (maybe because the band was P.O. since only half of the concert hall was filled). This first disc was already released in 1980 but against the band will. So it is nice that it officially saw the light in 2002; even if it is VERY late. I guess the hords of fans would have rushed on this in these early middle seventies. Anyway, it is a very good picture of these times. Great tracklist, very good sound. It is also the opportunity for the band that they too can jam. The version of "Wicked World" lasts for about nineteen minutes and this is maybe not really necessary. Almost the whole of the second disc comes from the Olympia show on the 20th December, 1970. This set was already available (both audio and video) and the images are particularly interesting of course. To see those guys in their youth is quite a document. The original sequence is not respected but the sound here is much better than on the "unofficial" release. The original performance started with "Paranoïd". What a start my friend ! And the complicity between Ozzy and Tony is also nice to see during "War Pigs". Four stars for these legendary live tapes (seven out of ten would be more appropriate, I confess). As I have mentioned, I always enjoy live albums because it demonstrates how great the band on stage and I especially like the live vibes created from that such records. Black Sabbath live during Ozzy era is typically good ones to enjoy although I have some disappointment as well on Ozzy behaviors to reduce the notes on high register - like those in Snowblind or Sabbath Bloody Sabbath. When I look at the music, I just typically ignored my disappointment on this vocal department. 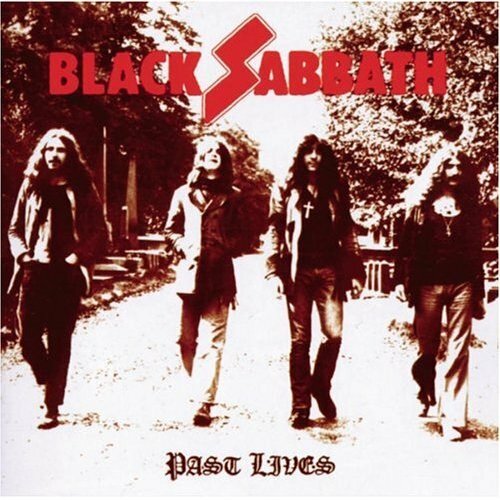 When this version came out at CD store, one thing I really liked was the cover that reminded me really to the band's past days when there were original members of the band: Bill Ward, Geezer Butler, Tony Iommi and Ozzy Osbourne. As a matter of taste I actually prefer Tony Martin's voice but again .. as the original members band, the Ozzy era is still the one that people remember until now. About Black Sabbath music, I like their sounds - especially in producing power chords due to Iommi's injury at his fingers that he then preferred to play using power chords - and its powerful guitar solo. The heavy riffs that I think are peculiar to rock music are also present here. Specific to this live set, I like the tracks like "Sweet Leaf" that brings together power chords, stunning guitar solo, eerie vocals, jaw dropping drum work and tight bass lines. I observe Geezer's bass lines are tight and able to generate the sound that combines nicely with Iommi guitar. Bill Ward is also a great drummer that demonstrates his dynamic skills in drumming here. "Killing Yourself To Live" is also an interesting live track here. My childhood favorite "Snowblind" is also a great one to enjoy, especially on the heavy riffs and Ozzy's eerie vocal line. Although I consider that this two CDs set is an excellent rock concert record, I prefer Disc two because the facts that "Hole in The Sky" - my favorite track from "Sabotage" album being played wonderfully and also the song that remark the name of the band : "Black Sabbath". Wow!!! I do enjoy these two tracks plus "Hand of Doom", "Megalomania", "Symptom of The Universe", and "Behind The Wall of Sleep". Those are great live tracks that makes me enjoying this album. Of course, this album is not as legendary as Deep Purple "Made in Japan" or Uriah Heep "Live 73" or Led Zeppelin "The Song Remains The Same" because it was just released recently. I am sure if this was released in the 70s, it made another great live record in the history of 70s classic rock music. 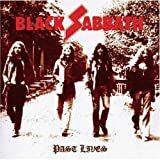 PAST LIVES is a post-millenium live album of Sabbath shows recorded at various times in the 70's. It seems that each of the first six Sabbath albums other than SABBATH BLOODY SABBATH (why is that?) is bountifully represented with a few live cuts. Obviously, the production is scratchier than any studio album could provide, but the band proves that they could play well and Ozzy actually sings quite well throughout the album. Unfortunately, I'm not so fond of live albums as most others are (this is me coming from the i-Generation). The only song I find superior here as opposed to a studio album is ''Hole in the Sky''. 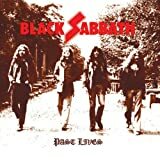 Still, this is a non-essential live album Sabbath fans should pick up; they're like Rush in the sense that the live performances mostly stick note-for-note in line with the studio version except for the we-never-needed-it-this-long ''Wicked World''. There were three things that led me to buy another live SABBATH album. First of all because this is the earliest live material that we have from the band that is a legit recording. We get six tracks from 1970, nine from 1973 and three from 1975. The second thing was that we don't get a re-hash of all their best songs as seven of these songs are from the three albums that follow "Master Of Reality". Yes we still get half of these eighteen tracks from the first two records but at least they mix it up. Lastly the album cover is one that i've been drawn to from the first time I saw it. The first cd is all from 1973 and was released before under the name "Live At Last" but this recording has been cleaned up and sounds much better than the original that the band and management disapproved of. There is an almost 19 minute version of "Wicked World" from their debut that may go on far too long but I like hearing this band jam. And there's even a jazzy section. Tracks 1, 5-9 of the second disc are the 1970 ones recorded live in Paris. Love the rendition of "Black Sabbath" including the intricate acoustic guitar intro. Tracks 2-4 are the later ones recorded in 1975 at Asbury Park in New Jersey in 1975. I like this section the most as we get tracks that haven't been done to death and it's quite a powerful performance as well. A low 4 stars only because i've heard the "hits" way too many times. Well worth picking up though if your a BLACK SABBATH fan. There are far too few recordings available that capture the mighty Sabs at the height of their powers. Maybe it was due to the poor management that bedevilled them in the Seventies but they were one of the few hard rock bands that didn't release a live album. 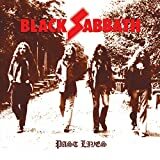 While contemporaries such as Deep Purple, as well as acts as diverse as Humble Pie, Kiss and Peter Frampton, all made their names with the obligatory live album, Black Sabbath recorded in the studio and toured but didn't release a souvenir. When a live album did come out, it was after the classic line-up had split up and was very much a low-key affair. Of course the hardened fans loved 'Live At Last' (yep, I still have my copy), but it didn't make nearly as much impact as it should have done. So what has that to do with the new double live CD that is currently in the player? 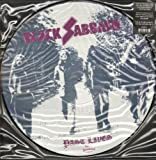 Instead of just re-releasing the original album, Sanctuary have released a double CD containing the whole of the original album on disc 1, along with another disc containing more seminal cuts. It may have been recorded at different times, but the sound has been cleaned and overall has a good sound given when it was recorded. While disc 1 starts off with "Tomorrow's Dream" and on the way to "Paranoid" also contains classics such as "Sweet Leaf", "Killing Yourself To Live", "War Pigs" and a 19-minute version of "Wicked World", I found that it was disc 2 that spent more time in my player. If I could just point to one track your honour, the blistering awesome track 3 that is "Symptom Of The Universe" which really does capture the power of one of the world's most awesome rock bands at the height of their powers. From the time that Tony first hits the riff to the last dying solo, this is a classic in every sense of the word. Or how about the pounding drums and that strange bent guitar chord that leads into Ozzy singing "Has he lost his mind?" ("Iron Man"). There are also versions of "Black Sabbath", "N.I.B. ", "Megalomania" among others before it closes with "Fairies Wear Boots". An album that all Sabbath fans should hunt down immediately. 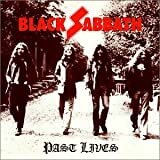 Post a review of BLACK SABBATH "Past Lives"